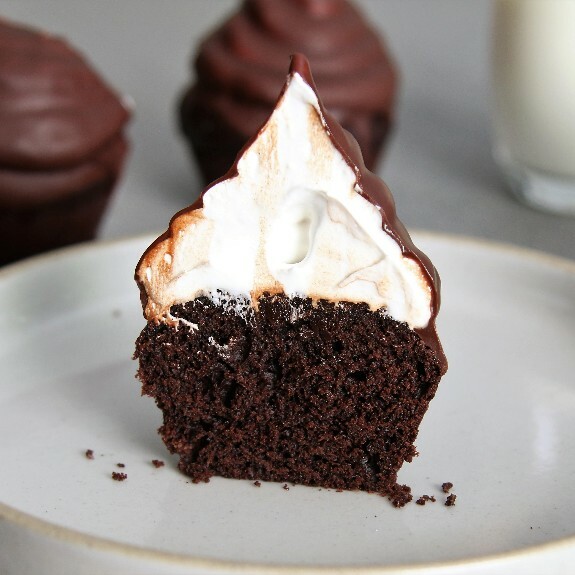 We partnered with Bob’s Red Mill to bring you an easy version of Hi Hat Cupcakes, just in time for Valentine's Day, made using their Organic All Purpose Flour. Cupcakes, we have to admit, are not always our favorite. That was until we started seeing Hi-Hats crop up all over Instagram (Shout out to Erin McDowell!) Inspired and intrigued by the nostalgia of this throwback recipe, we decided it was time to put our own (easy) spin on it. While developing this recipe, we wanted to simplify the process without sacrificing the flavor. To start things off, we knew the cupcake had to be perfect, but also quick to make.The first few batches we tested were lacking the chocolate oomph we were looking for so by tweaking the sugar to flour (we used Bob’s Organic All Purpose Flour) ratio a few times we were left with a perfectly moist and rich chocolate cupcake bursting with cocoa goodness. Next up was the frosting. Our mission here was to take the mystery out of making meringue. Sure, it can go south quickly (hello, scrambled eggs) but as long as the water in your double boiler is not too hot (it should barely be simmering with a few bubbles popping to the surface) it really doesn't take much more than whisking egg whites and sugar for a few minutes. The first few times we tested this portion of the recipe, we used a candy thermometer to make sure the egg white and sugar mixture hit 160˚F (to ensure the egg whites were cooked enough to safely eat) but if you don't have a candy thermometer, this process consistently took us EXACTLY four minutes each time we tested. 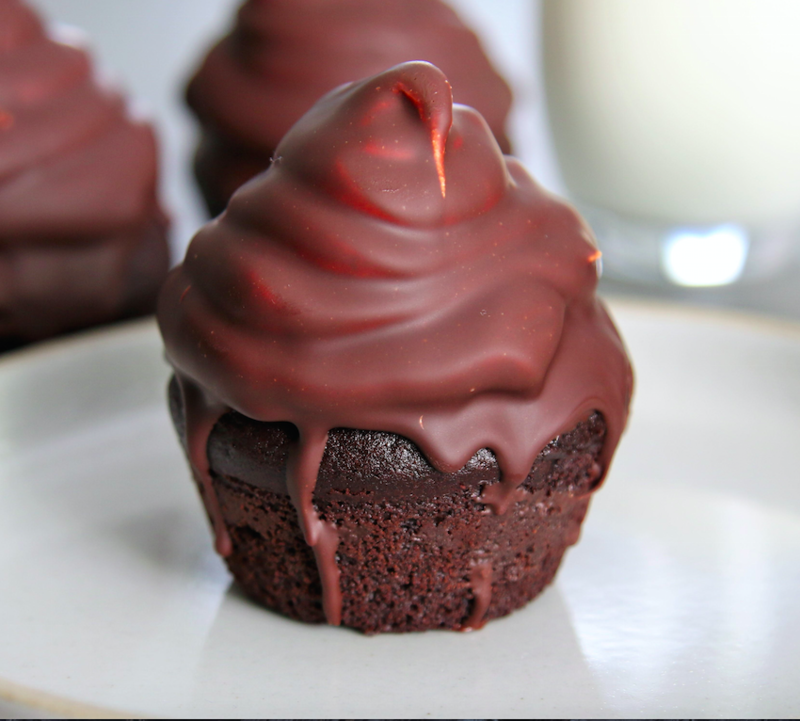 Last but not least, two ingredient chocolate glaze! It's super simple, just chopped semisweet chocolate and coconut oil. It's similar to a 'magic shell', so save any leftovers to drizzle on ice cream. Now on to the recipe! 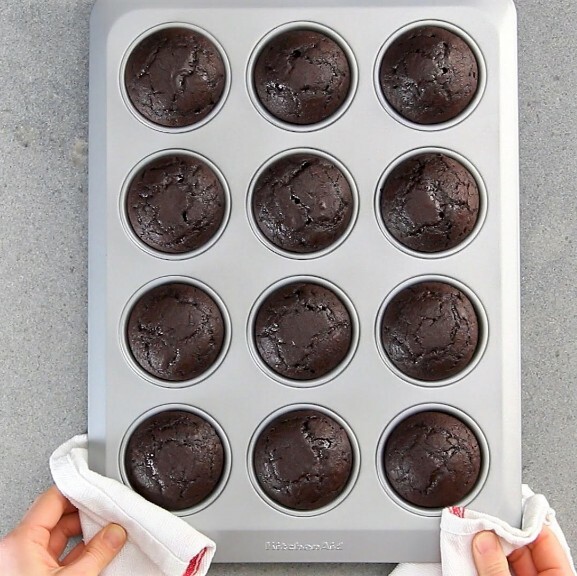 Fill the prepared muffin tin with batter; filling each cup about halfway. Bake for 15-17 minutes, or until set or until a cake tester comes out clean. 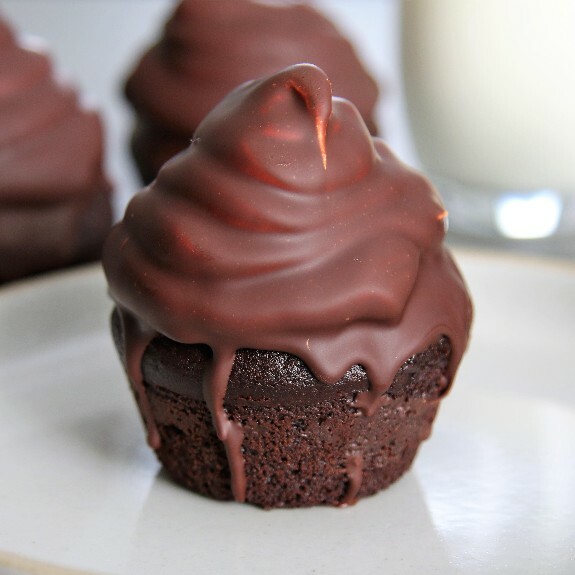 Let frosted cupcakes chill in the refrigerator for at least 30 minutes while you make your chocolate coating. 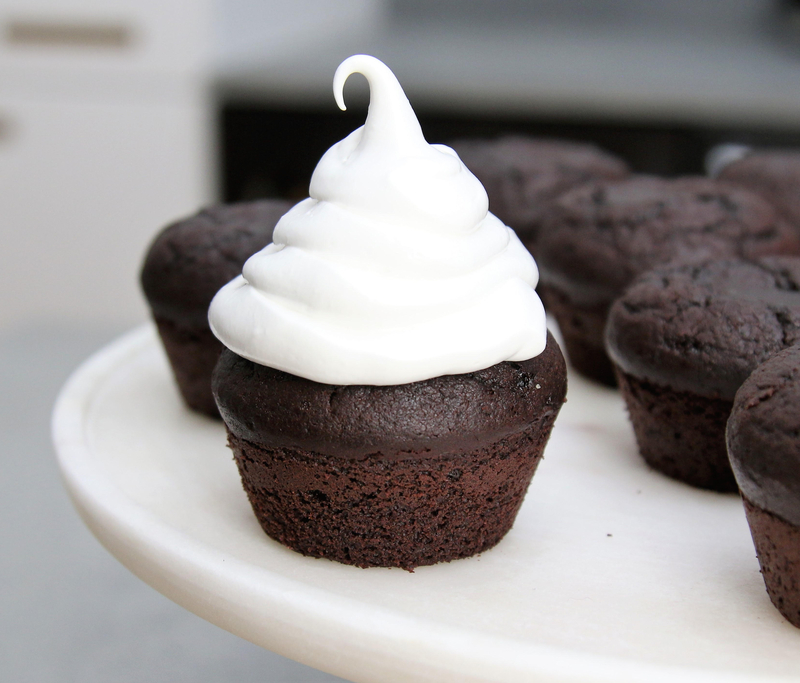 The frosting should not be sticky when you dip them; it should feel dry and firm to the touch. To make the coating, add chopped chocolate and coconut oil to a clean double boiler and gently melt together until smooth. Whisk to combine, then let cool for about 10-15 minutes before proceeding. When the cupcakes are chilled, dip in the chocolate coating and set in the fridge to harden for 5-10 minutes before serving.